Monarch holds a 80% interest in the Camflo Northwest property (SOQUEM 20%). 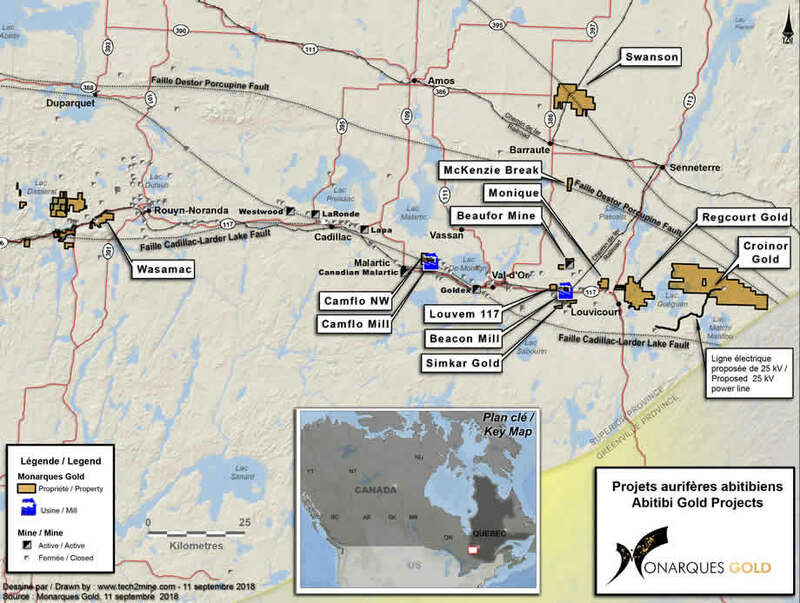 The 4.5 km2 Camflo Northwest property is located 5 km east of Malartic, Quebec. The first reported exploration work on this property dates from 1926, and a lot of drilling has been completed on the property by several companies over the years, which is located in the southern part of the Abitibi greenstone belt. The property is between the past-producing Camflo Mine and the Black Cliff deposit, approximately 2 km north of the Larder Lake Cadillac fault.